The most important connection in any culture comes from its people. At Gable, ideas are valued. Input is encouraged. Voices matter. Gable embodies excellence and integrity in everything we are and do, from customer service to concept and design to building, installation, & beyond. Our Keys to Greatness unlock the best performance and behavior of each team member. Our keys provide us with answers, with a system for solving challenges we encounter in our daily work, and with a tone and pitch for our communication—with each other, with our customers, and with our partners. Our keys will continue to grow and evolve. Learn and apply them, and you can open all the doors to success both personally and professionally. We’re All In. It’s our mantra and the mindset that encompasses our entire team. We live and breathe our culture every day. It’s the charisma of our company. It’s our moral character. It’s what makes us experts in our craft. Our positive climate attracts and retains our amazing talent to keep achieving greatness. 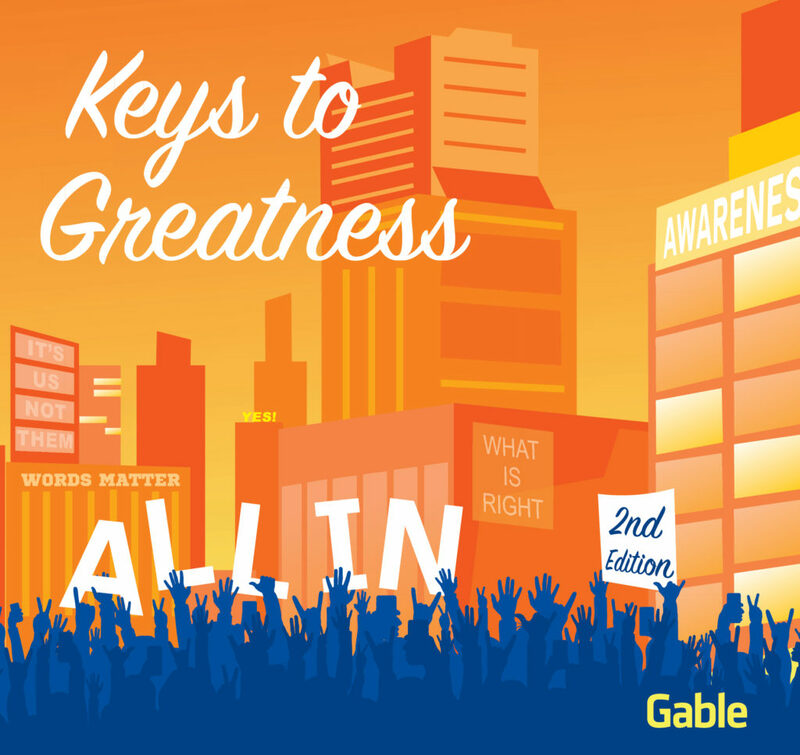 Gable’s Keys to Greatness are a set of core values that serve as the foundation of our culture, fortifying the spirit of our people. They empower us to have effective conversations and motivate us to make decisions and take action. Our Keys are an essential bond hol­ding us accountable to ourselves and each other to always Do the Right Thing. We rise above status quo; we’re All In. Click the image above to access our culture book.